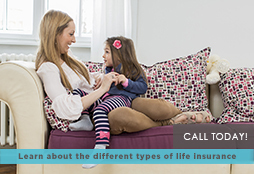 Insure Spot | How Much Life Insurance Is Enough? How much debt you have: All of your debts must be paid off in full, including car loans, mortgages, credit cards, etc. If you have a $200,000 mortgage and a $4,000 car loan, you need at least $204,000 in your policy to cover you debts (and possibly a little more to take care of the interest as well). Obviously there are other people in your life who are important to you and you may wonder if you should insure them. As a rule, you should only insure people whose death would mean a financial loss to you. If you have spouse or partner that also is a contributor to the family income then it would make sense to go through the same exercise to determine the face value of the policy.